Maxine pointed at Bonkers’ empty highball glass and raised two fingers. “You buying?” Max asked Bonkers. Max sighed and put cash on the bar. “A little too clear. Something’s not right. With the info they have they don’t need me to find it. I want to talk to… them.” She pointed to a group of well-dressed men and bears sitting in a corner. The man who’d hired Max the night before was sitting among them. Ullr: It’s like being blasted in the face with a shotgun full of toothpaste. But in a strangely good way. Max sent them a round of Ullr shots. One of the men looked at the drinks with disdain and said, “I did not order any of that!” When the bartender pointed to Max she gave a small wave and a smaller smile. He gestured her and Bonkers over. “Don’t you have a poem to find?” the man asked – not unpleasantly – in an English accent. “Huh?” Bonkers said, tilting his head. “The thank-you note,” Max interjected. “—is in this stuffed snake. And the snake is in London. How well do you know London?” he asked. Oh, and famous Londoner Yahoo Serious! Anyone? Yahoo Serious? “Young Einstein”? “Hm, I’ve heard of this theory. It’s a real theory,” Bonkers said to the readers. “Looks like you’re buying us a couple tickets to London, then,” Max said, finishing her drink. Just then an enormous man in a suit and dark glasses entered the bar. He was imposing enough that the bears began to look uncomfortable; several of them tried to make themselves big. And don’t forget to leave suggestions for things you’d like to see show up in Part 4! Not only was I amused beyond description and thrilled at Bonkers’ appearance, but I also learned something. I’m not sure what, but apparently ULLR is something akin to Fireball, and something something Yahoo Serious. I am sure that caption makes that picture even funnier and I shall spend the rest of my day trying to find out why. And that was the end of Mssr. Serious. Then Carrot Top came along and took his look and now he’s got that association going, too. I really enjoyed this over my coffee. The entire bear bar scene was my favorite…still laughing at the Koala. I might have to bring the koala back sometime. I’ve become attached to him. The koala sounds like he’d make a good bartender. 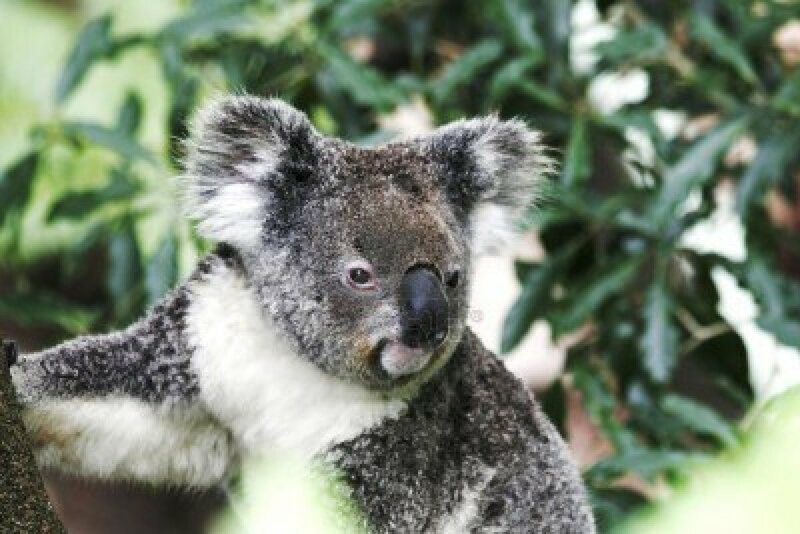 He does have all the…koalafications. /ba-dum-psh. Is that Shakespeare thing real? Are you really going to make me have to use my brain and look up information? Curses. It’s totally unsubstantiated, but it is a real theory (except for the thank-you note part). There’s little anecdotal bits of “evidence” but it’s probably not true. It’s the best kind of conspiracy theory, though, because there’s nothing sinister to it. I’d give anything to see a B Man drawing of that snake. “Or is there something about me?” Ha! I am loving this so much. And NOT just because of the bears / marsupials. I KNOW. P.S. – Are you trying to enable me? Ullr? Thanks! The Max & Bonkers fans are a small but hearty band. Ullr in hot chocolate on a cold day is inspired. Straight, your face contorts like you drank straight lemon juice, and you go, “Ewww! Gyuugh! Uhhhh! Uhhh mah gahd! Uhhh!… Hm. That was pretty good!” Then you have another and repeat the whole thing. Oh come now . . . who HASN’T heard of Yahoo Serious? Young Einstein is a classic of cinematic fare. But now all I can think about is this strange craving for a toothpaste shooter. Hmm . . . 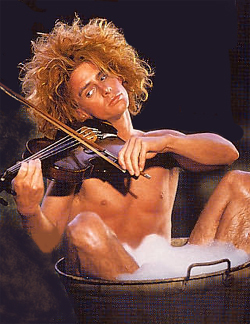 I feel bad for Yahoo Serious. The movie might have been a bigger hit in the States if people had been given a primer on the sheer, batshit awesome “hey, let’s try this!” weirdness of Australian cinema. This is way better than the “Choose your adventure” books I read as a kid! Thanks – I loved those things. You look at them now, though… not so great. I guess a kids standards for lit are a little lower. I’m going to have to get my husband to read up on this. He used to love those “choose your adventure” books. Can’t wait to see what happens next! I actually liked the “Surprise Tiger in the Closet” endings more than the one happy ending in those books. The writers were so creative with the many ways you could suddenly perish. there are two more, right? one more is not enough! I had to try reading this 3 times before I got to finish, it has been that kind of day. My 3rd grade Girl Scout leader was right – sooo glad I persevered. Oh good. Upholding scout traditions is the secret agenda of this site. You’ve outdone yourself! Good work! Thanks! There way too long, I know, but there fun to write. Actually, I am a fan of Bonkers, period. I rather like these adventures than the ones I used to read as a kid. I always chose the wrong way and died. Every. Single. Time. I always opened the page juuuust a little bit, and if there wasn’t very much writing turned back and chose a different option. What to include next…a tiger. In the closet. This is so much fun! It reminds me a lot of Christopher Moore’s writing. But that could be because I am currently reading Sacre Bleu.